The 88-year-old former bindery at 2901 Blake St. recently has been transformed into a new kind of bindery. Today’s edition joins two distinct buildings, a handful of vibrant businesses, and bonds arts and commerce. 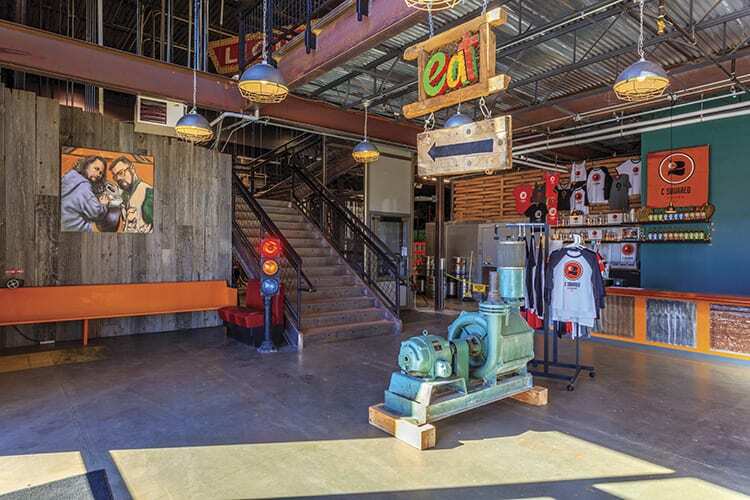 An example of adaptive reuse at its best, it also provides nourishment – in this case, both economic and culinary – to the neighboring community. Bindery on Blake is the brainchild of Sonia Danielsen, partner of Danielsen Investments, LLC, which she owns with her husband Barry. It’s the realization of a vision she’s long held for the property and, while the Danielsens have transformed other defunct warehouses into vibrant loft spaces, this project is especially close to her heart. The Danielsens started their business in 1994. 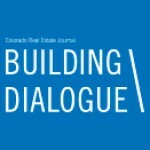 They wanted to focus on commercial and residential property in the River North area – mainly because the downtown neighborhood is in Sonia’s blood. Her family has owned businesses in RiNo for almost 80 years. Bindery on Blake now comprises more than 67,242 square feet and includes the buildings at 2901 and 2875 Blake St., as well as 100,000 square feet of land beneath the buildings. Located near Coors Field, the development is in RiNo. The one-story red-brick building at 2901 Blake St. was constructed in 1927 to serve as a foundry for a company called Magnus Metals. That building eventually was turned into a warehouse before Sonia’s family purchased it in 1976. 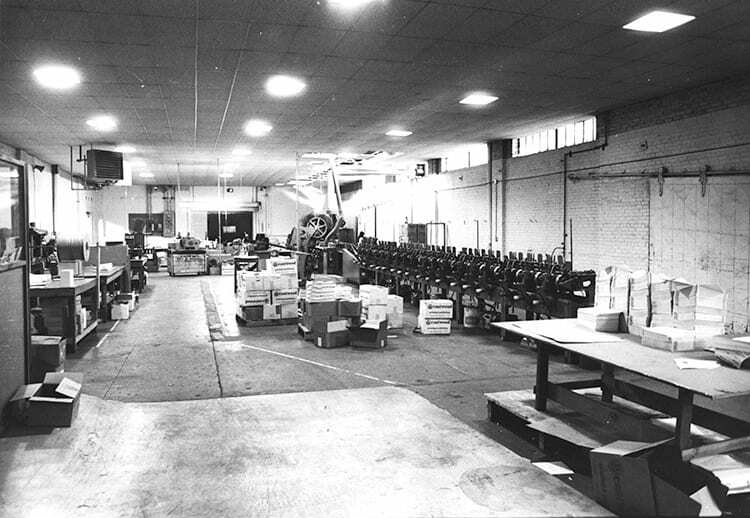 Their business, Eastwood Printing, operated in the building for almost 40 years. She erected the building at 2875 to house the company’s giant (and expensive) bindery equipment. In 2004, Sonia sold Eastwood and began leasing the two buildings. When both became vacant in 2014, RiNo was beginning to take off, and Sonia and Barry decided to revitalize the property. They hired OZ Architecture and Sprung Construction for core planning and construction. The echoes of foundry, printing and warehouse still can be found in architectural and decorative details throughout the property. 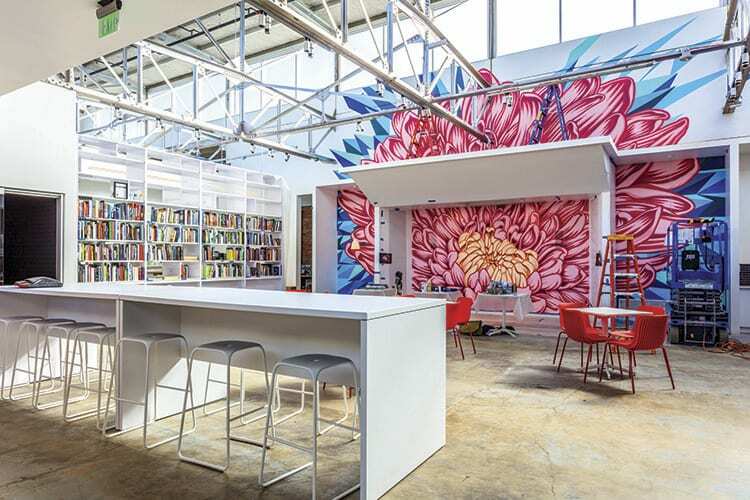 The old warehouse has been converted into a soaring space that’s attracting a dynamic group of creative tenants. Those fortunate groups include Motive, an advertising and marketing firm that relocated from the 16th Street Mall; Davis Partnership Architects; Spazo Prego, a kitchen design and retail space; Metropolitan Flooring; and 13 art studios. According to Sonia, the artist studios were husband Barry’s idea. In a gesture of good will toward the neighborhood they love, the Danielsens decided to lease the artist studio spaces for $500 per month “all-in,” meaning rent includes Internet, water, heat and electricity. (At the time of this writing, more than half of the 13 studios had been leased.) Clerestory windows provide copious sunlight and blue-sky views throughout the building. They’re a favorite feature among the tenants of the new space, as well as of Sonia. “I love the fact that you can be in the middle of this huge building and still have tons of natural light coming in from the ceiling,” she says. Davis Partnership Architecture, which moved in Jan. 4, has turned the cavernous space into an inviting and inspiring place for its 150-person team. 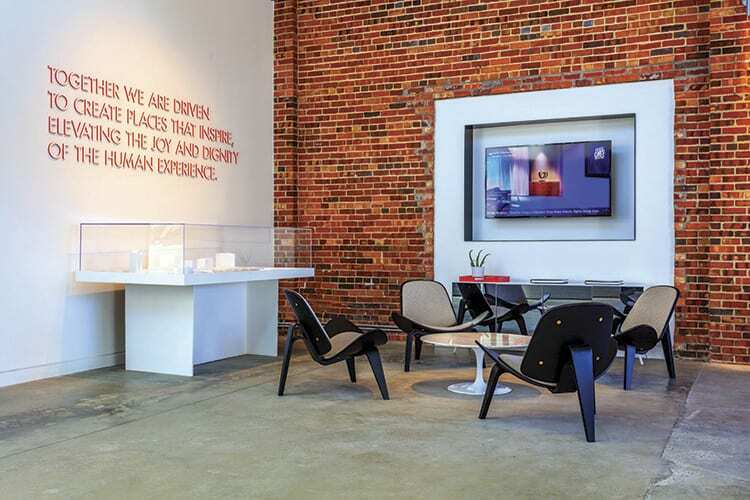 After searching for new headquarters in central downtown Denver, the Denver Design District and the Highlands, the firm’s leaders chose the newly renovated warehouse on Blake Street for its “good bones” and its dynamic environment. Erickson says the Bindery’s proximity to downtown and access to public transportation were also contributing factors in the decision to relocate there. Davis included showers and bike storage in an effort to encourage alternative transportation and attract young talent. The firm seems to have succeeded; the average age at Davis is 35, and many live in the area. 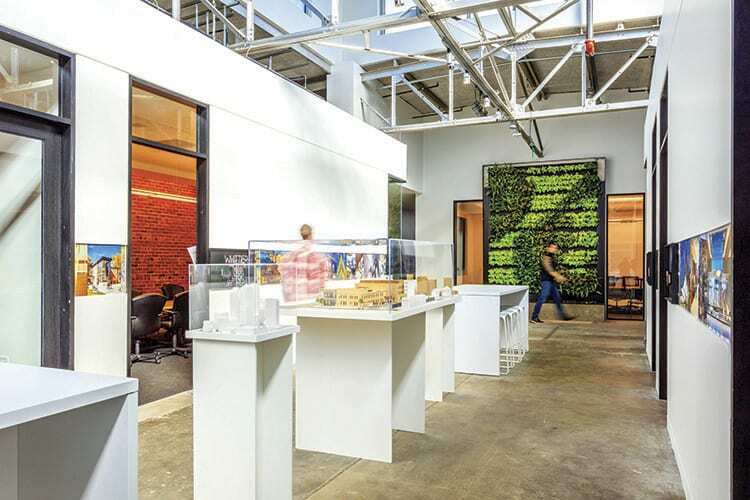 The company also installed a green wall in the atrium, which serves as food for the eye as well as a source of fresh herbs for the on-site kitchen. Aside from bountiful daylighting throughout the space, the offices also feature radiant heating and cooling, features that put the new offices of Davis Partnership in the running for LEED Gold status. 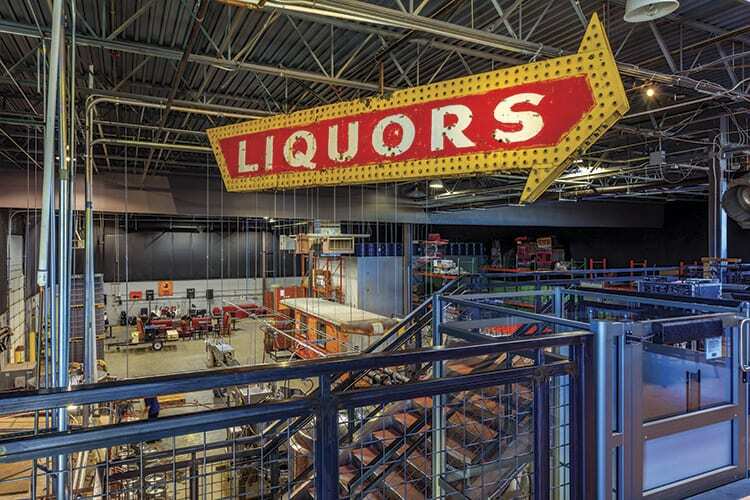 The adjoining property at 2875 Blake St., which used to house the bindery equipment, is now home to three companies: C Squared Ciders; Bierstadt Lagerhaus, a German-style brewery; and Rackhouse Pub. That makes three large-scale businesses operating under one supersized roof. The pub is located on a mezzanine overlooking giant brewing vats. With floor-to-ceiling windows on the mezzanine, the pub offers views of the mountains and downtown, and provides a tasting room for ciders and beers. The award-winning C Squared Cidery uses an old truck bed for its C-Suite. The truck, which was lowered into place with a crane, is now home to cozy, anything-but “corporate” offices. 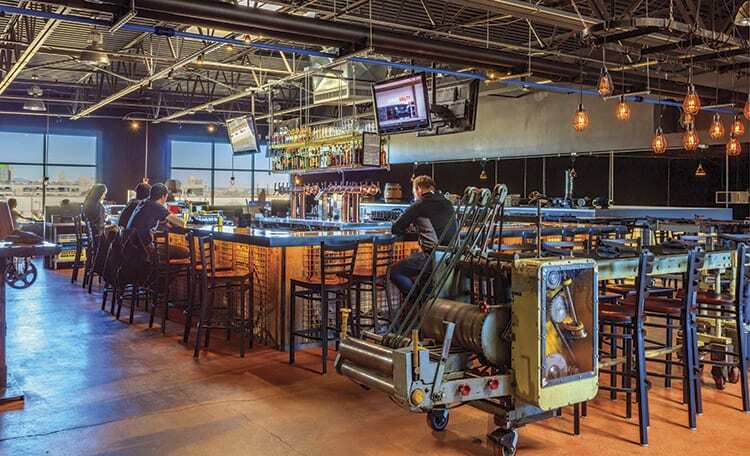 “The mix of old manufacturing space and new creative space makes it a really interesting environment to work in,” says Chris Rippe, owner of the Rackhouse Pub and a partner in the brewery. Printing press remnants have been recycled and are now used as tabletops, room dividers and other objects of interest in the pub. A painted Magnus Metals sign is still visible on the back wall of the warehouse. Perhaps most important is the gigantic silo that sits between the two buildings and serves as a landmark and anchor for the property. 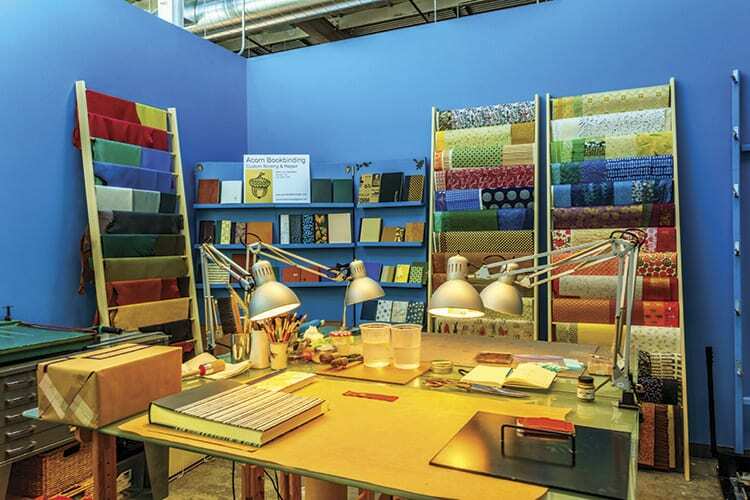 Bindery on Blake has succeeded in ways that Barry and Sonia Danielsen had envisioned, and in many they had never imagined.